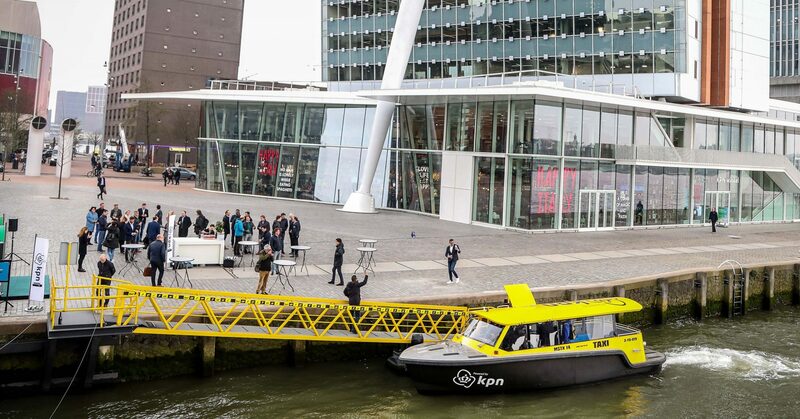 Together with KPN and Watertaxi Rotterdam, Captain AI christened the Watertaxi 14 today. Several smart sensors are installed on the watertaxi by Captain AI that will make it possible to operate the watertaxi autonomously in the near future. Captain AI selected for Mobility Lab 2019! Captain AI has been selected by Mobility Lab 2019! Out of 70 startups, Captain AI was one of the 14 selected to start a pilot project with a governmental organisation. Full press release here. 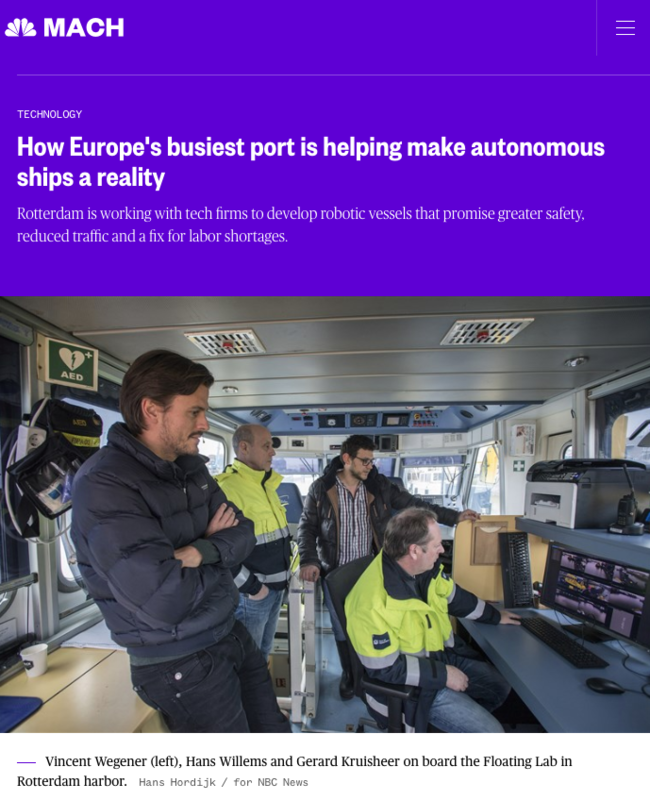 Together with the Port of Rotterdam, Captain AI was featured in MACH magazine from NBC News. Check out the article here. 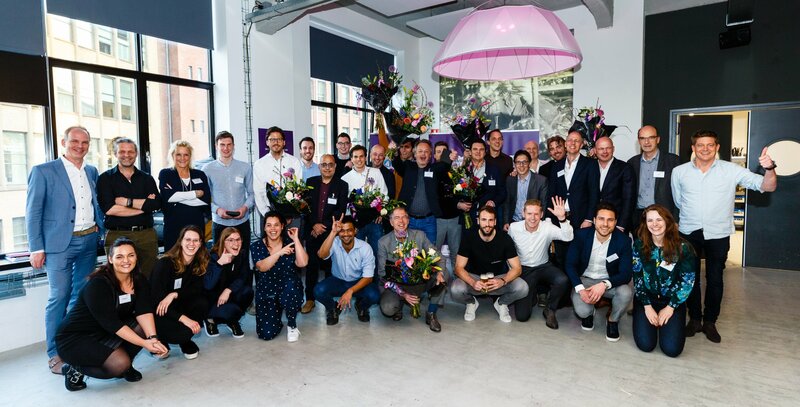 Captain AI in the news & winner Innovation Funding Award of Amsterdam 2018! We are also proud to announce that Captain AI won the Innovation Funding Award with a price of €42.000 worth of marketing material! Today Captain AI announced that they are pioneering an autonomous shipping solution based on state of the art deep learning algorithms. 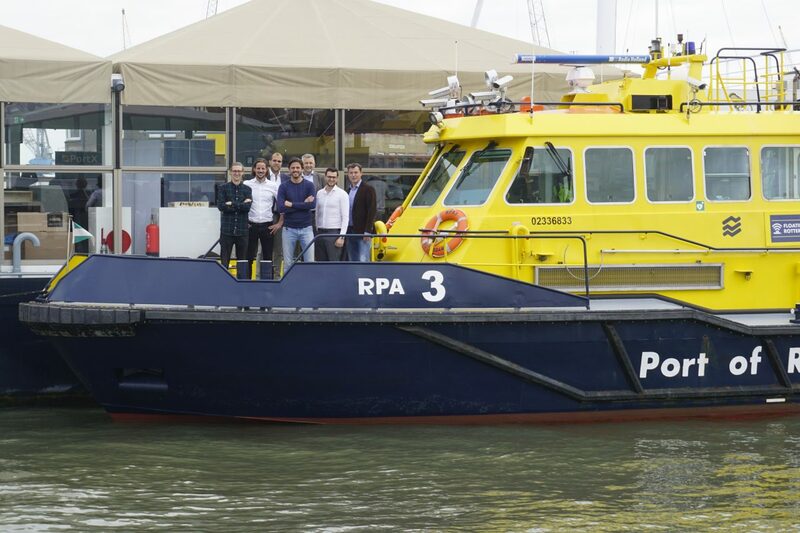 The company will work closely together with the Port of Rotterdam Authority in a pilot project to make a safe and reliable system operational on their RPA vessel. 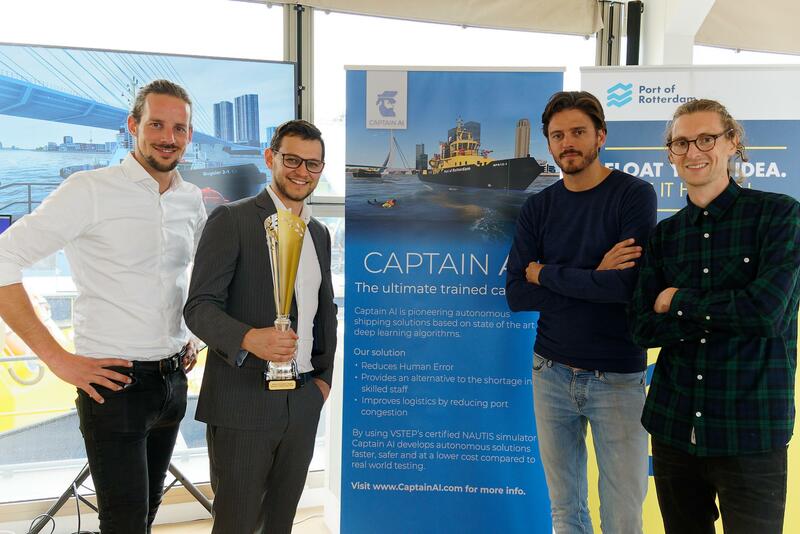 Captain AI is backed by two reputable investors with a long history in the maritime sector; VSTEP, which makes leading solutions for simulation and virtual training and Post & Co, an independent marine and logistics insurance specialist. The Port of Rotterdam has made a commitment to the application and development of Smart Shipping. The RPA vessel, project name ‘The Floating Lab Rotterdam’, is a platform made available by the Port Authority in order to stimulate Smart Shipping innovations in the maritime sector. The RPA vessel will be used by Captain AI under supervision of the Port Authority to test sensors, algorithms and other equipment. Captain AI is hiring for positions in its Rotterdam based headquarters. Post & Co is the independent partner for Marine Liability and Logistics insurances for all players in the logistical chain, such as Ship Owners and Charterers, Terminal and Transport Operators, NVOCC’s, Transport Intermediaries and Port Authorities. Post & Co is based in Rotterdam, Antwerp, Frankfurt and Seoul and was founded in 1941. Currently the 4th generation is at the helm of this family business. For more information, see www.post-co.com. VSTEP makes leading solutions for simulation and virtual training. Vstep’s state-of-the-art class certified products allow users to train their skills for every scenario possible in a practical, cost-effective and sustainable way. VSTEP is based in Rotterdam and was founded in 2001. For more information, see www.vstep.nl. The port of Rotterdam is Europe’s largest sea port. The port owes its leading position to its outstanding accessibility for sea-going vessels. And to its intermodal connections and the 180,000 people working in and for Rotterdam’s port and industrial area. A place where unlimited ambitions can become reality.